In the early 16th century Nuremberg-born artist Albrecht Dürer (1471–1528) changed the landscape of his artistic practice – literally. Taking his cue from Leon Battista Alberti (1404–1472) and Piero della Francesca (1415–1492), Dürer began to introduce the ‘secret art of perspective’ into his works. He used measurement and geometry to produce images that created the illusion of depth in a flat pictorial-plane. 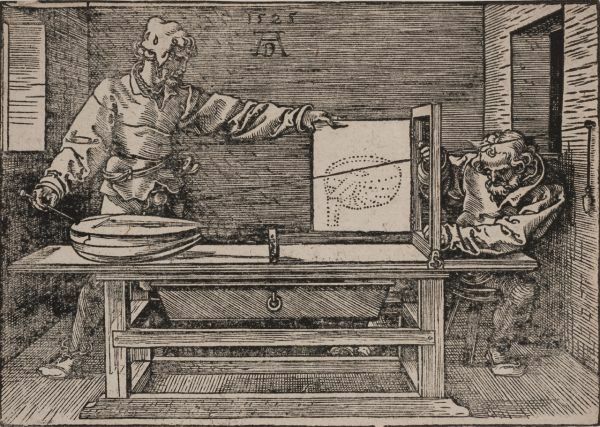 Over five hundred years later, the University of Melbourne’s Print Collection set out to celebrate Dürer’s cross-disciplinary approach to art and mathematics with the Dürer Drawing Day!